60% of adults that spend time online have an Instagram account. And 500 million of the 800 million people on Instagram are active every single day. Those statistics might convince you that your business needs to be on Instagram, posting regularly, and building an organic following. 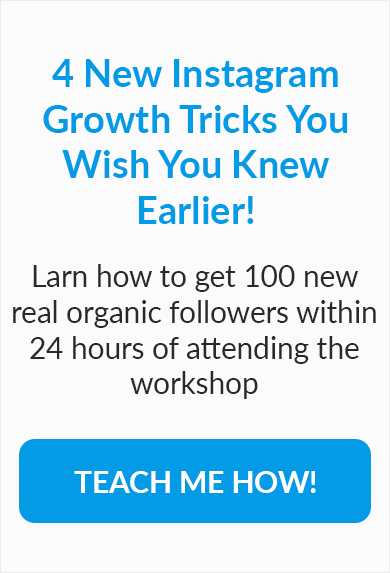 Unfortunately, building an organic following on Instagram has only become more difficult over the past years. And that trend isn’t slowing down. Just consider what’s happening over on Facebook, where organic growth potential decreases year over year — from 16% in 2012 to 2.27% in 2015. Since Facebook owns Instagram as well, it’s only a matter of time before your Instagram organic reach falls to zero. Is Instagram just a bad place to grow your audience? Or are there ways to work around this sad fact? No, Instagram is not a bad place to grow an audience. And yes, there are ways to work around the death of organic growth. To understand how you can avoid the death of Instagram’s organic potential, you first need to understand why organic reach is suffering on the platform. Is it because the overall quality of Instagram’s content is worse than ever before? Or is organic growth on Instagram low because businesses don’t know how to use the platform correctly? In short, no. Why, then, will your organic reach soon be zero? The answer is simple: The makers and owners of Instagram (and Facebook, for that matter) want your organic reach to be zero. They don’t want you to be able to reach your target market without paying to reach it. In reality, social media websites are in the business of advertising. And if you can easily grow an organic following, then you won’t pay them to advertise your business and products. Because of that, Instagram is doing everything it can to kill your organic growth. Sure. There might be some truth to that. But you’re smart enough to know that that’s mostly a bunch of bunk. Instagram is doing it because they want you to pay money to reach your audience. But it’s the reality of today’s social media environment. Fortunately, it’s not all bad news. Instagram is still a remarkable place to grow your audience, build brand awareness, drive traffic, and promote products. It’s reasonable to say that there’s never been a platform as good for business as Instagram is. No other platform engages audiences and captivates attention spans quite like Instagram. On Facebook, Twitter, and LinkedIn, businesses consistently struggle to build meaningful relationships with their audiences. And the reason for that is simple. Usually, when people are on social media, they don’t want to be marketed to. They want to be entertained. Period. And when marketers post on other social platforms, they become a bit too… well, salesy. On Instagram, though, something peculiar happens. Maybe it’s because the platform is highly visual. Or maybe it’s because Instagram encourages fun, quirky, and engaging content. Whatever the case, businesses exceed at building meaningful relationships with their target markets on Instagram. Just consider that the percentage of business followers that engage with content on Instagram is around 2.2% (On Facebook, that number is .216%). So even though Instagram organic growth is dying, it still outperforms every other massive social media platform… combined. For that reason, lots of businesses succeed on the visual social media site. Airbnb, as an example, sees 40,000 organic likes and over 1,500 comments on just one of their posts. Tesla experiences similar success, sitting at over 350,000 views and 1,200 comments on one of their videos. Here’s the good news. If those businesses can grow an organic following, so can you. And doing so is only going to become more difficult as Instagram’s efforts try to pull your hand from building an organic audience. Fortunately, they can’t stop you completely. Here are four things you should be doing now to prepare for the increasingly difficult future of organic growth. With better content comes a larger audience. Yeah. Instagram really is that simple. Instagram’s algorithm update now prioritizes content that people want to see. Which means that simply posting content on the platform doesn’t ensure that your audience is going to see it. Ideally, you need to post content that engages your audience, receiving likes and comments. Otherwise, Instagram won’t even show your post to your audience. Although that’s sad, it’s true. And the best way to prepare for that truth is by increasing your content expectations. Panera Bread is a prime example of an Instagram brand that consistently posts engaging photos of food. But you don’t always have to post your own remarkable photos. In fact, a great way to increase the quality of the content you produce is by leveraging user-generated content. GoPro does this consistently on its Instagram account, asking its followers to send in photos and videos, which GoPro then shares with its audience. Here’s an example of the kind of photos that this strategy produces. That’s a gorgeous photo with lots of engagement. But the best part is that GoPro didn’t even need to create the content themselves. The geniuses behind GoPro’s content marketing strategy simply needed to ask their audience to take photos and then they used the best of those photos to create content. That’s a valuable strategy if you have an already-engaged audience willing to submit photos and videos. You can also use Instagram Stories, for which usership has surpassed that of Snapchat. Or live video, which people tend to watch three times longer than traditional video. Post your own amazing and engaging content, leverage user-generated content, create Instagram Stories, or publish live video. Those are just a few strategies for consistently producing remarkable content. And in the end, that remarkable content will get seen more than mediocre content — simply because Instagram will show it to your followers more often. As AdWeek reports, Instagram users only see about 30% of the posts that show up in their feed. Which means that they miss 70% of the posts. Clearly, your chances of getting seen are… well, they’re not good. But, if you increase the amount of content you produce — so long as you don’t simultaneously decrease the quality of that content — you’ll also increase how many people see your content. With more content comes more opportunity for people to see what you post. The massively popular Gary Vaynerchuk posts every few hours on Instagram. Here’s one of his posts. And another one three hours earlier. And still another 13 hours before that. Gary Vaynerchuk does not do that accidentally. He posts so often because he knows that Instagram is trying to kill organic growth. And the fact is, the more he posts, the more people who will see and engage with his content. The same is true for your Instagram strategy. If you want to see more engagement from your Instagram notifications, then try increasing how much you post every day. Perhaps there’s no better way to build an organic following on Instagram than by doing those two simple things. Since reaching your audience is harder than ever, it’s key that you choose the best time of day to post. Naturally, the best time for your audience is going to be different than the best time for another brand’s audience. Every audience is different and so is the optimal time of day to share content. That’s why it’s critical that you pay attention to your own engagement rate across various posts. Ask yourself this question when examining past content: Is there a time of day that generally performs better and receives more engagement? If you find that you’re posting at the same time of day often, then mix it up and try out a few different times. Then, post more during the times that receive increased engagement. To get you started, though, consider this study that found that the best times to post on Instagram were Monday and Thursday at 2 a.m., between 8 a.m. and 9 a.m., and 5 p.m.
Another study found that the best times to post on Instagram were between Monday and Friday at 5 p.m.
Of course, don’t take their word for it. Try out different days and times for yourself and see what works best. Then, post like crazy during those times. The more that people share your content on their Instagram feed, the more people who will see your content and the greater your organic reach will be. As Instagram tries to squash your organic growth, you can combat that by encouraging your existing audience to share your content. The most obvious way of doing this is by using social media share buttons on your website. Like Neil Patel does. On Instagram, however, sharing works a bit differently. While share buttons like that work great for other social media platforms, you’ll want to use this “view on Instagram” button to drive website traffic to your Instagram account. When people click on it, they will be taken straight to your Instagram account, where they can choose to follow you or browse through your content. However they get to your account — follower or not — effective ways to get people to repost your content are far and few between. On Instagram, there is no official share button. But users often repost a photo with their own commentary and then give credit to the account that originally posted it. If that’s you, then you gain some extra publicity. The first great way to do this is by using influencers that your audience already loves and connects with. Daniel Wellington — a business that sells watches — does this with their Instagram account. Then, if people see and like the content from the influencer, they’ll be likely to repost it on their own account, mentioning your brand name to their own followers. The second — and perhaps best — way to generate reposts on Instagram is to run a competition or giveaway. Not only do people love entering into competitions or giveaways themselves, but they love telling their friends about the opportunity to do the same. Here’s a competition that OM NOM NOM ran. Do that and people will share your content because they don’t want their friends to miss out on the opportunity to win a free gift. And the fact is, more shares means more attention for your business and a greater organic following. You can use the “view on Instagram” button, influencer marketing, and competitions or giveaways to make that happen. 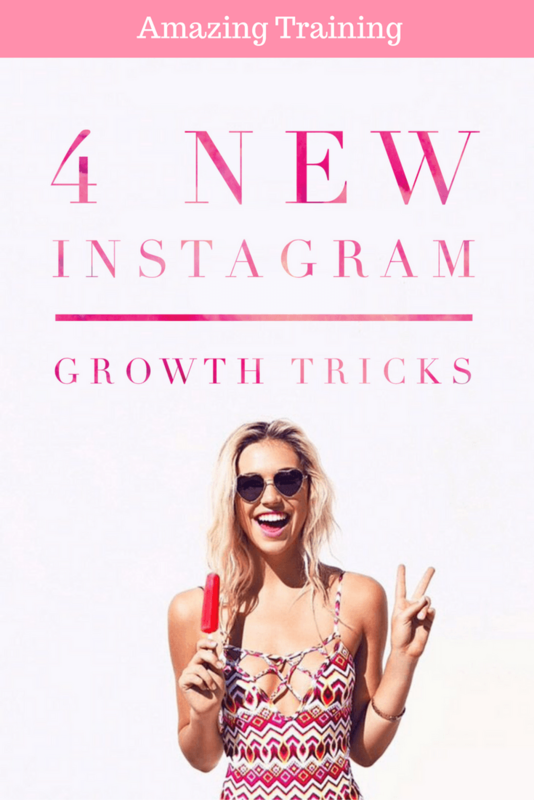 Soon, your organic growth potential on Instagram will be completely gone. Or, at least, mostly gone. In fact, to a large degree, that’s already happened. And in the years to come, growing an organic audience on Instagram will only be more difficult, not less. This is because social media platforms want you to pay to reach your audience. They don’t want you to be able to reach them for free. Still, though, Instagram is the best social media platform to build meaningful relationships with your audience. And you can increase the quality and quantity of your content, post content at the ideal time, and encourage social shares to do so. People have to see your content before they choose to follow you. And if you get your content in front of your target audience with the above strategies, then you’ll still build organic relationships — despite the fact that C-level Instagram executives don’t want you to.